Celebrate Crafts: Join my team! There are many perks that come with being a Close To My Heart Consultant, including getting an exclusive Consultant discount on our high quality crafting products! 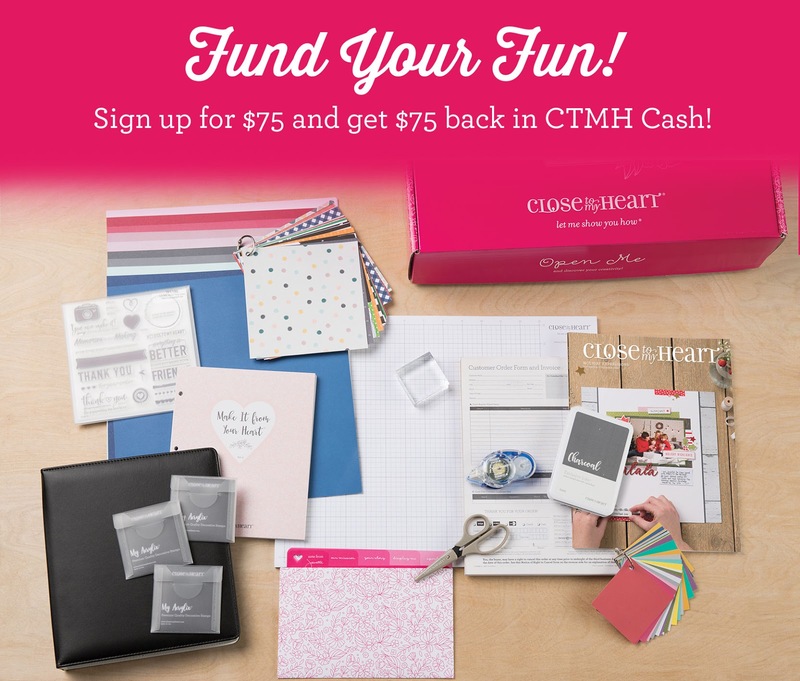 When you sign up to be a Consultant in November, you’ll get the price of your kit back in CTMH Cash, which you can use for buying additional creative supplies! Business Builder: You are focused and want to have consistent sales through home gatherings, workshops, clubs, and online sales. You also would love the challenge of building a team. The sky's the limit with your income potential! Club Coordinator: You and your friends get together regularly to make beautiful projects. Meet monthly to complete a Workshop on the Go and receive a 22% discount on your purchases. Personal Use Consultant: You already love Close To My Heart products and order (alone or with a group of friends) an average of $300 in products each quarter. It's time to start receiving a discount on those products! •Get 22% discount on all of your CTMH products, every day! •Order new products before they are released. •Free online business, creative, and personal development classes through the Training Academy. •Weekly Start With The Heart e-mails for the first six weeks. •Access to Consultant-only bulletin boards, including artwork, templates, swaps, business, gathering, and more. •Have the opportunity to attend the annual Convention, 3 days filled with business-building ideas, inspiration, and FUN! •Earn FREE products in your first 90 days with the Straight-to-the-Top Program, along with other fabulous goodies! •Be your own hostess and earn hostess rewards as well as generous commissions. •Gain access to pre-designed workshops and tons of wonderful project ideas.